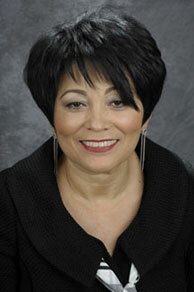 For generations to come, Camden schoolchildren will continue to have their financial barriers lifted and their academic futures cultivated at Rutgers University, thanks to a $500,000 bequest intention from Gloria Bonilla-Santiago, a Board of Governors Distinguished Service Professor of Public Policy and Administration at Rutgers University–Camden. Bonilla-Santiago has dedicated much of her life and career to her work at the Community Leadership Center at Rutgers–Camden. Bonilla-Santiago, director of the Community Leadership Center at Rutgers–Camden, made the gift commitment to supplement the Rutgers University Alfredo Santiago Endowed Scholarship, which she created in 1999 in memory of her late husband with the goal of transforming the lives of Camden youth with a college education. The Alfred Santiago Endowed Scholarship – which will now carry both of their names – is awarded annually to graduates of the LEAP (Leadership, Education, and Partnership) Academy University Charter School who enroll full-time at one of Rutgers University’s three campuses. To date, more than 150 Camden youth have benefited from the award. Internationally renowned today as an academic visionary and leader, Bonilla-Santiago has remained true to her Rutgers roots, as well as to Camden youth, having dedicated much of her life and career to her work at the Community Leadership Center at Rutgers–Camden. A child of migrant farm workers in Puerto Rico, she defied family, tradition, and expectations to reach the highest levels of academia and pursue her dream of transforming poor urban communities through education. The Rutgers–Camden distinguished service professor created the LEAP Academy University Charter School in 1997 and elevated it from a small charter school in one of the nation’s poorest cities to its premier position – and a working model for other charter schools to follow – today. In doing so, Bonilla-Santiago built an educational pipeline that begins in infancy – with the Early Learning Research Academy serving a population of more than 300 infants, toddlers, and preschoolers – and continues to college and beyond. 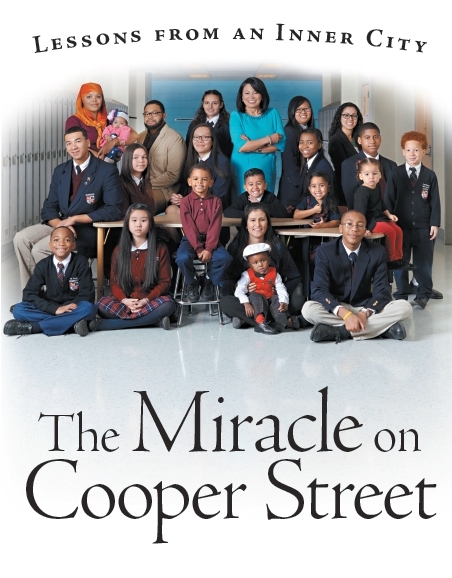 “I am so proud of what we have accomplished at the Community Leadership Center and LEAP Academy with an infant-to-college model and a 100 percent graduation rate for all our 14 classes of youngsters,” says Bonilla-Santiago, who reflects on her arduous and inspirational journey in her engaging autobiography, A Miracle on Cooper Street: Lessons from an Inner City (Archway Publishing). A resident of Voorhees, Bonilla-Santiago also earned a bachelor’s degree in political science from Glassboro State College (now Rowan University), and master’s and doctoral degrees from City University of New York. She is the author of numerous articles and two other books: Breaking Ground and Barriers: Hispanic Women Developing Effective Leadership and Organizing Puerto Rican Migrant Farmworkers: The Experience of Puerto Ricans in New Jersey. She is also a blogger for U.S. World News & World Report and The Huffington Post.